Coal Creek Historic Park and the Chinese Cemetery are places of historical significance to the Chinese Canadian community. Unlimited organics/yard waste and one can of garbage will be collected on Wednesday, January 20, 2016. 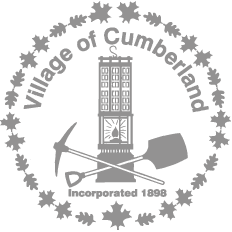 The agreement between United Riders of Cumberland (UROC), Village of Cumberland, TimberWest Forest Corp., and Hancock Forest Management will formally allow non-motorized recreation on private managed forest lands. You should have received your 2016 property assessment in the mail from the BC Assessment Authority. Applications will be received for the casual Recreation Worker position until January 15, 2016. Unlimited organics/yard waste and one can of garbage will be collected on Wednesday, January 6, 2015. Drop off your tree at Village Park on Sunday, January 3, 2016 by donation.